The Bureau of Land Management’s mission is to sustain the health, diversity, and productivity of America’s public lands for the use and enjoyment of present and future generations. The U.S. Forest Service’s mission is to sustain the health, diversity, and productivity of the nation’s forests and grasslands to meet the needs of present and future generations. The U.S. Geological Survey is a science organization that provides impartial information on the health of our ecosystems and environment, the natural hazards that threaten us, the natural resources we rely on, the impacts of climate and land-use change, and the core science systems that help us provide timely, relevant, and useable information. 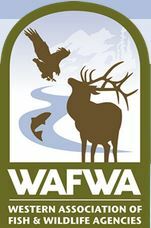 The Western Association of Fish and Wildlife Agencies represents 23 states and Canadian provinces, an area covering nearly 3.7 million square miles of some of North America’s most wild and scenic country.